1899/00 Blackpool failed to gain re-election to the League at the end of the 1898/99 season (voting details). They spent one season in the Lancashire League before being elected back into the Football League (1899/00 Lancashire League table and voting details). 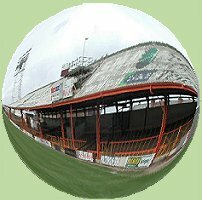 * Blackpool suffered a 2 point deduction in the 1982/83 season for fielding an illegible player - full story.